Happy April Fools Day to you, dear Operative! 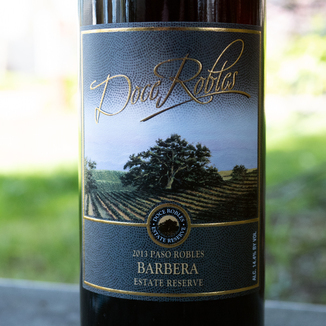 We’re not joking when we say that today’s Doce Robles 2013 Paso Robles Estate Reserve Barbera is a truly stupendous deal. This Mega QPR (Quality to Price Ratio) wine is a terrific friend to your favorite meals, particularly Italian fare, like a rich pasta Bolognese! This medium-density boasts a bright ruby hue, spreading out to crimson at the meniscus. Up front, the bouquet features toasty barrel notes of vanilla, gingerbread, and maple syrup followed by desiccated fruit flavor of blackberry and brambles. There’s a surprising confluence of apple, melon, and kiwi with notes you’d expect more to find in a red wine such as cherry and allspice. It packs a punch with bright acidity that lifts the fruit mid palate and sends it back for an extremely long finish. Great pairing for a shish kabob with green onion, mushrooms, zucchini, and peppers seasoned with olive oil and Italian seasoning. 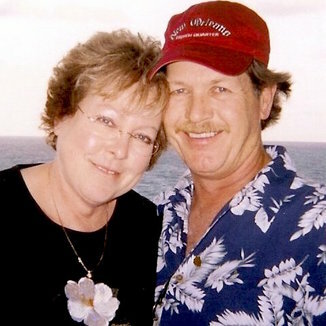 The small-production Doce Robles Winery is the very first winery to have appeared on the now winery-heavy Highway 46. 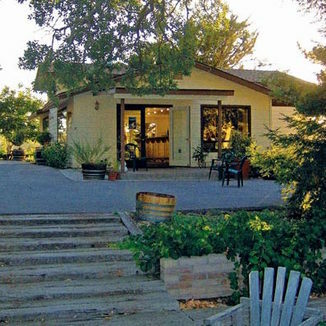 Doce Robles’ neighbors include the likes of Peachy Canyon, Sextant and Castoro Cellars… to name just a few. 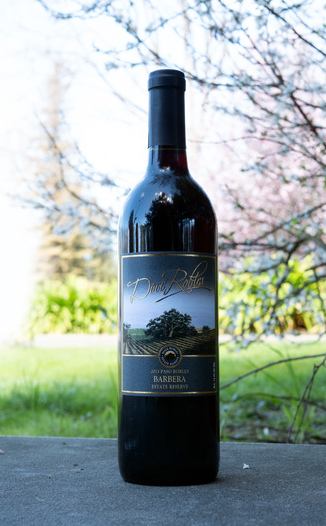 Doce Robles planted their vineyards in 1996 to Barbera, Zinfandel, Merlot, Syrah, Cabernet Sauvignon, and Cabernet Franc. Primitivo, Petite Sirah, and Malbec were also planted in 2010 and 2012. Boasts a bright ruby hue, spreading out to crimson at the meniscus. Vanilla, gingerbread, maple syrup, blackberry and brambles. Apple, melon, kiwi, cherry and allspice. Bright acidity that lifts the fruit mid palate and sends it back for an extremely long finish. Shish kabob with green onion, mushrooms, zucchini and peppers seasoned with olive oil and Italian seasoning.